So you’ve just completed an entire hour of a grueling workout that has your entire body shaking, ready to tap out. You can feel your energy depleting more with every step as you walk from the gym to your car. As you get in your car you have the urge to grab something to eat. This is the moment that many of us choose to eat the wrong things, or even worse, not eat at all. 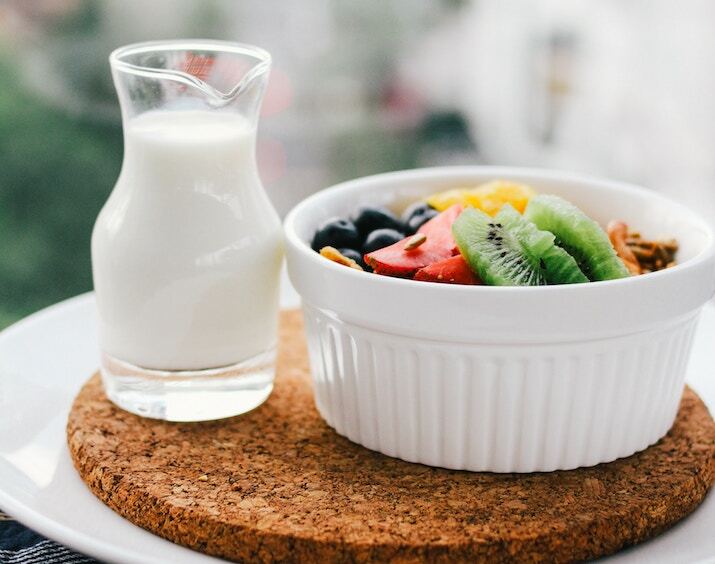 The importance of post-workout nutrition is critical to optimizing your results and making sure you don’t lose all of the hard work that you just put in the gym. Have you ever felt like you had a pit in your stomach, almost feeling sick because you don’t have any more energy left? The reason you’ve felt like this is because your glycogen stores were low. Glycogen, or muscle energy, is our bodies’ way of using energy to help us power through workouts. Broken down into its simplest form, glycogen is then a simple sugar called glucose. Glucose helps our bodies with energy. It depletes during intense workouts, leaving our bodies feeling fatigued and useless. For individuals who workout in the morning, glycogen stores are depleted as we rest throughout the night. It is important to consume one serving of a carbohydrate such as oatmeal at least 45 minutes prior to training to optimize performance. For intense workouts, glycogen stores in the liver are depleted after 90 minutes of exercise. This means that you should either focus on the cool-down at that point or consume a serving of carbohydrates such as Gatorade to continue the workout without fatiguing. Post-workout nutrition should never be over-complicated. Just remember that quality carbohydrates, lean protein and minimal fat is the best way to refuel your muscles while allowing them to rebuild as well. Protein is responsible for helping muscle tissue rebuild after being torn down from exercise, as carbohydrates are responsible for refuelling the muscles, like putting gas in your car. A general rule of thumb is to eat at no more than 2 hours after your workout. But what if you’re not hungry right after your workout? If this is the case, I would suggest consuming a whey protein shake with a piece of fruit. After, prioritize a real meal with quality carbs and lean protein within 2 hours from there. A great post-workout meal could consume carbs like potatoes, rice, bread or non-fibrous veggies. Also, consume lean proteins like ground turkey, chicken breast or albacore tuna. Adequate hydration is key before, during and after workouts. Remember to consume enough water based on your weight and current goals. Don’t forget to read my article on water to learn about its amazing benefits. So remember, nutrition is just as important as performing the exercises. Be sure to stick to quality food sources after every workout. This way, you’ll be able to reap the amazing benefits that a good diet has to bring! Growing muscles – Chasing the Pump!